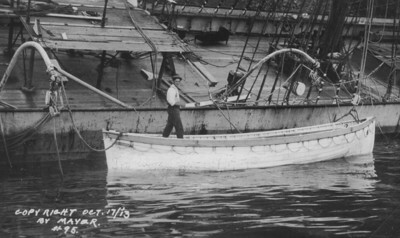 This gallery shows the fate of schooners Mimi, Oakland and Glenesslin. 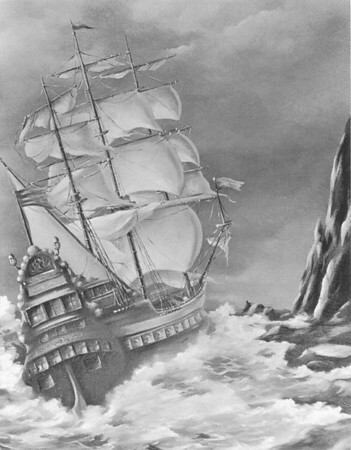 This drawing asks "Was there really a pirate ship whose crew buried treasure on Neahkahnie Mountain?" 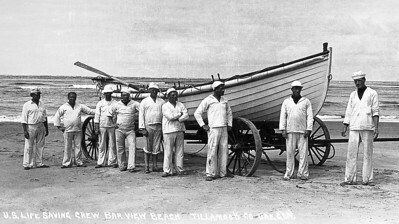 The drawing could also represent the famous Beeswax ship, a vessel whose fate near Nehalem spit no one doubts. For more about the Beeswax ship, visit www.nagagroup.org. 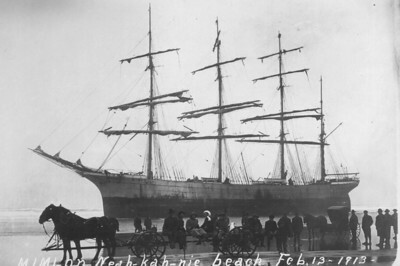 While on the beach, visitors could tour the decks. Visitors could enjoy a sunny day on board. It was a calm, fall day. 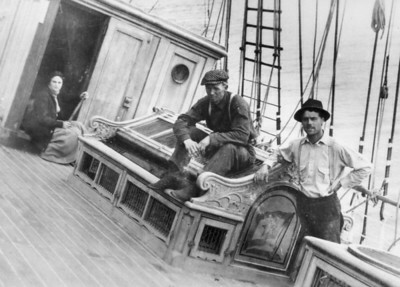 By the time the crew got off the ship, local photographer Ward Mayer was on the scene. 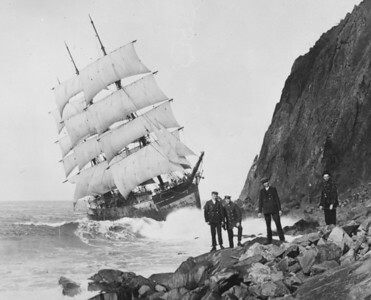 Did the captain deliberately sail onto the rocks, as some claimed, or get trapped in a current or wind pattern causing the accident? 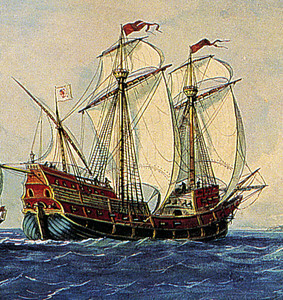 The beeswax ship probably looked much like this galleon, a Spanish ship design used for almost 200 years. Efforts to refloat the vessel failed when it capsized in the surf. Proud photos included the new fangled automobile. 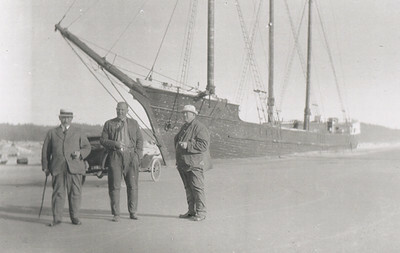 For the first few days after the wreck, visitors had easy access to the ship. As winter approached, the vessel gradually slid beneath the waves. 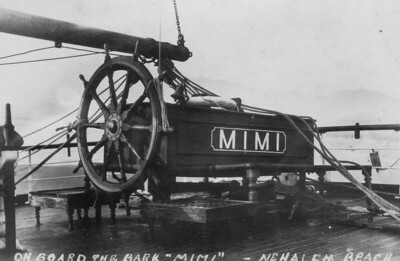 The Mimi ran aground in February 1913 about half way between Neahkahnie Mountain and the end of Nehalem spit. With the vessel overturned in the surf, locals on the beach tried to shoot a line to rescue crew members who had stayed on board during the attempt to refloat. For more than a year, the vessel rested peacefully on the sand. Always a treat to wander the tilting deck looking for a loose treasure. 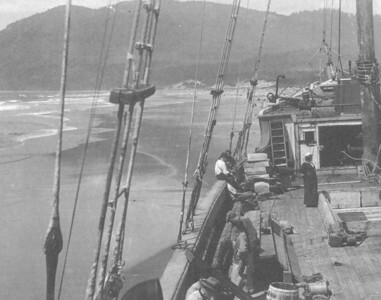 In 1914 the steam schooner Leggett floundered at sea while carrying lumber from Grays Harbor to San Francisco. 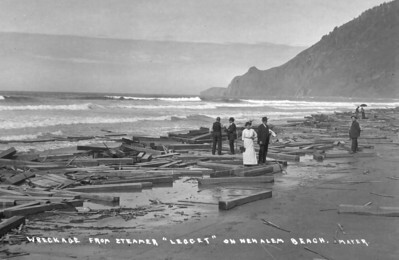 Nobody found weckage of the vessel, but locals harvested thousands of timbers off the beach. 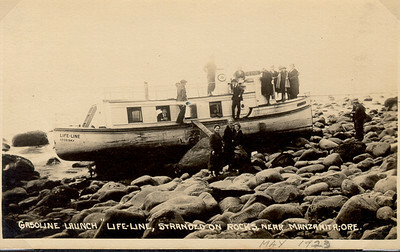 The stranded bark became a constant tourist attraction. 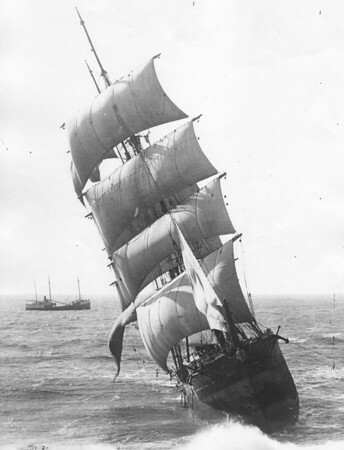 A life boat such as this also tried to reach the stranded crew. 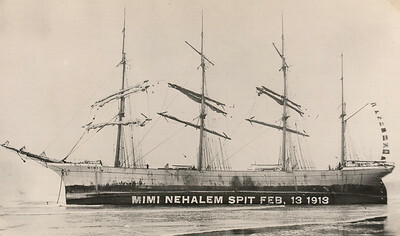 Twenty people had stayed on board during the effort to refloat. Sixteen died and four survived. 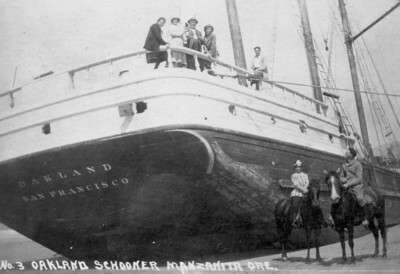 Oldtimers claim locals used donkey engines to tow the ship across the spit, float it in the bay, refurbish its hull, sail it to San Francisco to sell at a handsome profit. 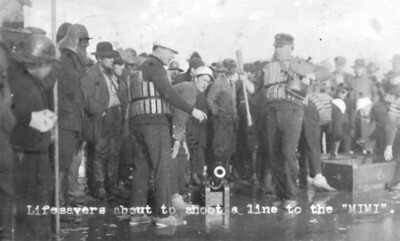 The well-dressed men holding rifles clearly wanted themselves in a photo with the Glenesslin. Were they guarding the ship? Preventing looting? Who knows? 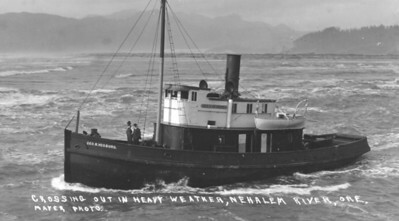 Photo courtesy Columbia River Maritime Museum, Astoria. Album 1997.5. 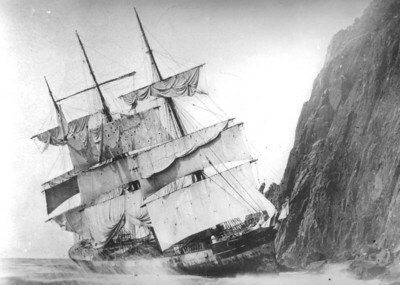 In 1912 the Vosberg struck a rock while trying to cross the Nehalem bar and grounded on the south spit. The steamer owned by the Wheeler Lumber Company was a total loss. 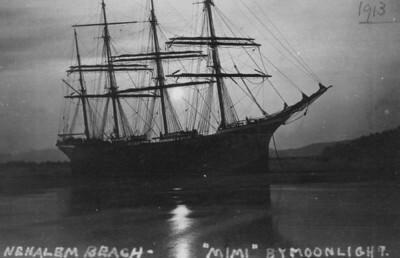 The square-rigger even posed for moonlight photos. 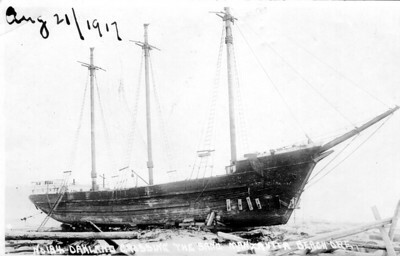 The Oakland ran onto the spit in 1916 with no one on board. Rumor said the crew abandoned the ship at sea because it was water logged. 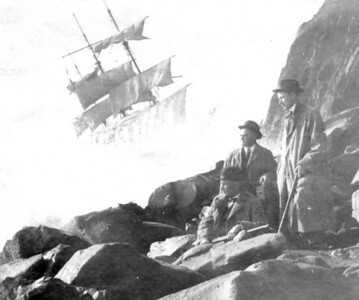 In October 1913 people on shore stared in disbelief as the Glenesslin sailed onto the rocks of Neahkahnie Mountain. 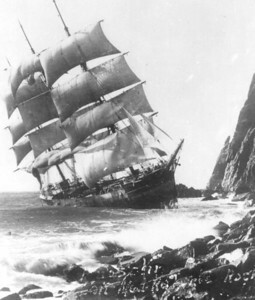 The ship was under almost full sail on a day of perfect weather. 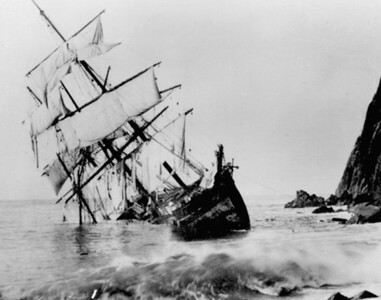 As the days passed, the battered ship slipped lower and lower into the water. 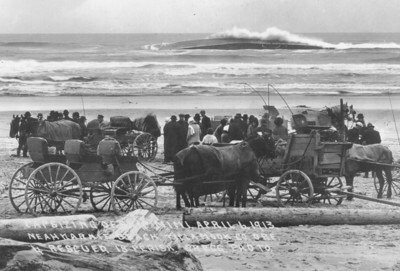 In 1923, the Lifeline ran ashore on the Manzanita beach. 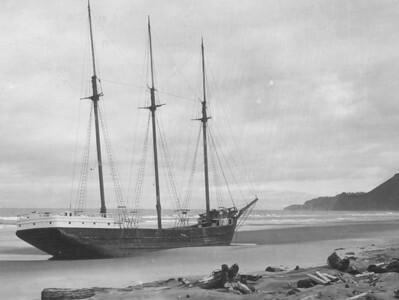 The ship was based in Coos Bay and belonged to the Baptist Missionary Society.